Join Safe Routes to Parks for a walkability tour from the Taos Community Foundation to the Rio Fernando Park. De-brief afterwards. 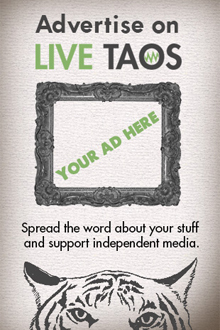 Meet at the Taos Community Foundation offices (115 La Posta Rd Ste A, Taos, NM 87571) at noon.